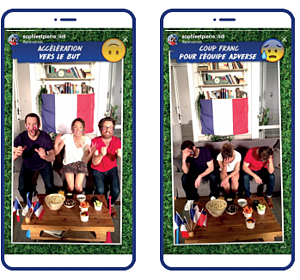 To increase their visibility during the 2018 FIFA World Cup, Lidl France (along with their agency Adictiz) chose to run a series of advertising campaigns across Facebook and Instagram. With over 1,500 stores, and close to 25,000 employees, for the past 25 years Lidl France has offered its customers an ideal solution for quick, everyday grocery shopping, at the best value for money. The Lidl brand is part of consumers' everyday lives, and they wanted to take brand affinity to a new level by leveraging a competition French consumers are particularly passionate about: the FIFA World Cup. In consultation with MakeMeReach, and using the MakeMeReach platform, Adictiz employed a strategy for maximizing coverage throughout the event, focusing on driving brand lift before, during and after key moments. The strategy involved Adictiz buying media space on Facebook well in advance, through the Reach & Frequency objective, locking in lower costs before competition for ad placements increased. The campaigns were structured around France’s three World Cup group games, and it was decided to run Video, Instant Experience and Instagram Stories ad placements. Instant Experience ads (formerly known as Facebook Canvas ads) featured the same videos as the video ads, but also layered in images and other interactive elements in this immersive, full-screen, mobile ad format. The campaign featured impressive results in terms of both CPM and CPC, with the Instant Experience ads performing particularly well. To find out more about the results of the campaign, as well as the overall strategy, read the PDF full success story by clicking here. "It was unthinkable for us to miss making the most of this global event! The pre-planning of our agency Adictiz, including context-specific ads based on specific matches...helped to maximize our visibility and engagement across both Facebook and Instagram" - Candice Nicolas, Social Media Manager, Lidl France. “The precision available in the MakeMeReach platform helped us communicate at just the right time with french football fans throughout the World Cup, helping to bring the Lidl brand closer to consumers. The support and strategy-input from the MakeMeReach team also played a big role in success" - Mathilde Pilard, Chief Media Officer, Adictiz. 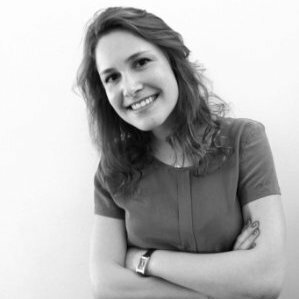 About Victoire Richard From training clients on our platform to offering strategic recommendations on the latest digital marketing innovations, our Self-Service Account Manager Victoire is an asset to the MakeMeReach team. Having helped our clients receive some astounding results, she's produced some terrific success stories for the blog. Don't ask us where she finds the time but we're super grateful!